During E3 2017, one of the biggest surprises for Nintendo Switch owners was the confirmation that Monolith Soft’s highly anticipated JRPG, Xenoblade Chronicles 2, would release later this year worldwide. Speaking with Time magazine, Tetsuya Takahashi (Founder of Monolith Soft) shed some light on why the Japanese studio is able to release Xenoblade Chronicles 2 with a much quicker turnaround in comparison to the previous franchise installment, Xenoblade Chronicles X. The ease or speed of developing Xenoblade Chronicles 2 stems a lot from our having already created this architecture with Xenoblade Chronicles X. The game portion of Xenoblade Chronicles 2 is kind of overlaid on top of that fundamental architecture. I think that made the biggest contribution to why development went so fast. And in terms of Switch versus Wii U, another point is that we’ve only had to deal with one screen, so that also has made development a little bit easier. Xenoblade Chronicles X launched in late 2015 for the WiiU after a delay (it was originally supposed to launch in 2014). The game will feature a completely new world and cast of characters. Another interesting aspect is that the art design is significantly different. 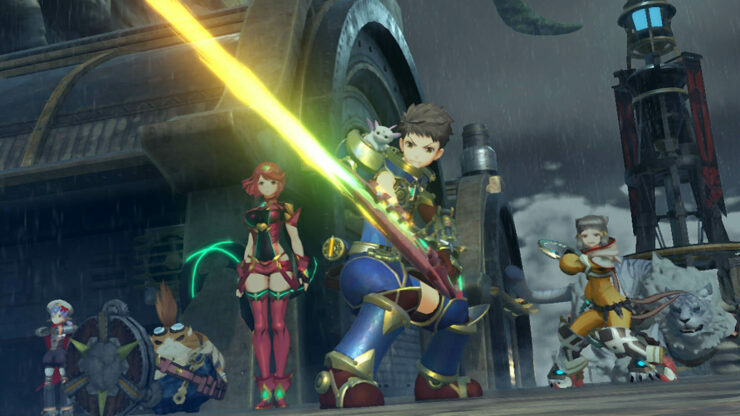 Whereas the previous game had fairly realistic proportions, Xenoblade Chronicles 2 will adopt an anime-like style for the characters.